No one likes pain. We want to get rid of the occasional headache, the backache, and the neck pain as soon as possible so that we can get on with our lives. Therefore, we reach out for the white pills on your shelf. However, how safe are they? The most common and unglamorous painkiller now available is paracetamol, or acetaminophen. In the UK itself, around 200 million packets of it are bought every year. The pills are quite cheap, but are they safe? In 2011, Professor Michael Doherty of Nottingham University, a rheumatologist, published a study of 900 patients aged 40 and older, some of whom took paracetamol for pain relief, and others took ibuprofen. After 13 weeks, results were compared. It was not surprising that one in five people who took ibuprofen lost the equivalent of one unit of blood through internal bleeding. Ibuprofen is known to cause such an effect. However, it was surprising that the proportion of patients in the paracetamol group also had the same effect of internal bleeding. Vicodin, a combination of acetaminophen (paracetamol) and hydrocodone, is considered to be a very effective painkiller. It has a synergistic effect, which means that the combined effect of these drugs is more than the sum of the effects of the individual drugs. This accounts for its effectiveness. It is easily available, but is it safe? Let us look at the ingredients. Acetaminophen, as shown earlier, is not good news for the liver if taken regularly, and hydrocodone, a powerful opioid that binds to opioid receptors in the brain, can be addictive. In the short term, it gives pain relief and a sort of euphoria. However, in the long term, Hydrocodone affects brain’s reward pathways, and can lead to the brain relying on the opioid to produce even normal effects of well-being. Stopping it can lead to withdrawal symptoms such as extreme emotional lows and physical pain. Addiction to painkillers such as Vicodin is a problem worldwide. Diclofenac is fast becoming the world’s favorite painkiller. What many people do not realize is that it is in the same category as the infamous Vioxx (refecoxib) that was withdrawn from the market in 2004. About 60,000 people had lost their lives due to strokes and heart attacks as the side effects of the drug Vioxx. Diclofenac, like Vioxx, is a Nonsteroidal Anti-Inflammatory Drug (NSAIDS) classified as COX-2 inhibitor. 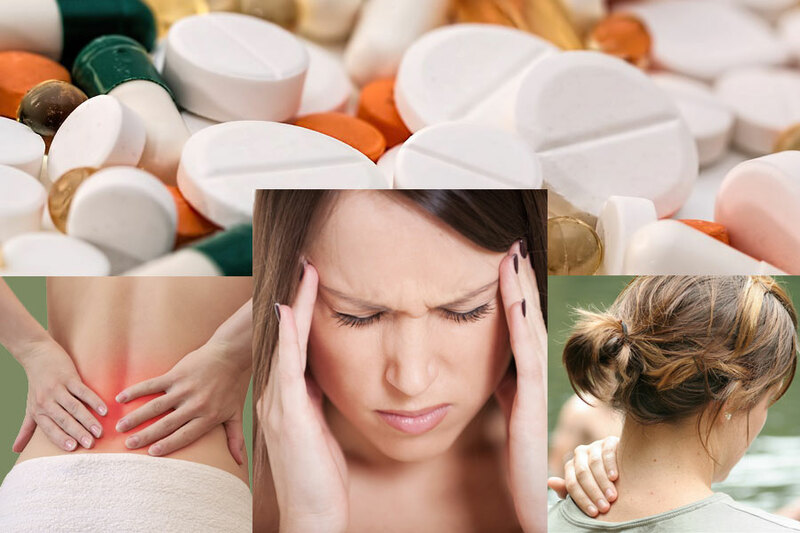 It is being prescribed widely, under such brand names a Cambia, Cataflam, Zipsor, and Voltaren, for all types of inflammatory problems, including arthritis, gout, headaches, and fever. The bad news is that Diclofenac can raise the risk of heart attack and stroke. The latest study by David Henry of the Institute for Clinical Evaluative Sciences in Toronto, a meta-analysis, found that diclofenac raises your risk of a heart attack or stroke by about 40 percent. Along with suppressing the ‘bad’ prostaglandins that lead to pain and inflammation, they inhibit the ‘good’ prostaglandins that increase blood flow by dilating blood vessels. The result is increased blood pressure and blood clotting. It was once believed that the nitric oxide present in the body would neutralize these effects, but recent research has found this to be not the case. If you are taking diclofenac, and if you have had a history of heart disease, your risk for Congestive heart failure increases 10 fold. It is also associated with damage to the, kidneys and liver, and the gastrointestinal tract. Your risk increases if you have a history of peptic ulcer, are alcohol dependent, elderly, or disabled. , has proven effective in handling certain types of pain safely. Some of these options are given below. Pain is a subjective experience. Different people experience it differently. According to new research published in the journal Pain, pain tolerance is related to the brain regions that direct internal thoughts, and control attention. The study revealed that subjects who had less grey matter in these brain regions experienced more pain than those who had more. This explains why different people react differently to the same pain stimulus. However, irrespective of your pain tolerance level, it is advisable to minimize the ingestion of painkillers as a relief mechanism for pain. In addition to causing health complications, you may be developing a rather dangerous addiction to pain killers, in the long run. Life style changes and diet, along with yoga and meditation are the best for pain management. Nice post. I was checking constantly this blog and I am impressed!It`s very wonderful. I care for such information much. I was looking for this such a wonderful story a very long time. You must be having rewarded for this.